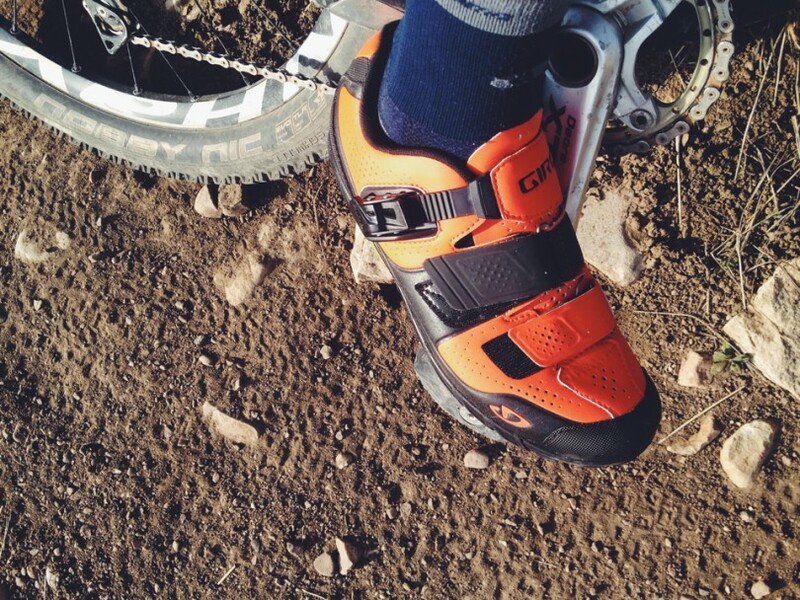 The Giro Terraduro is the company’s foray into enduro mountain bike footwear. And if you think the term “enduro mountain bike footwear” is made up marketing BS intended to capitalize on the latest enduro craze in order to sell shoes, than I tend to agree with you. Nevertheless, the Terraduro is a solid shoe, whether you ride enduro, all-mountain, trail, or whatever the latest MTB buzzword of the day is. Coming from Shimano’s all mountain shoe, the first thing I noticed besides the bright orange color was the weight. While I loved the Shimano’s when pointed down, they were a bear to pedal on long rides. Giro’s Terraduro are by no means a light shoe, especially when compared to other carbon sole offerings, however they achieve a good balance for those who earn their downhill. However, if you’re a weight weenie, these are probably not the shoe for you. 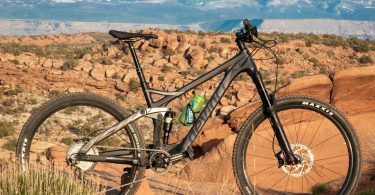 In terms of performance, I’ve been on a dozen or so rides with the Terraduro’s on everything ranging from Moab’s Porcupine Rim, Fruita’s Horsethief, to Park City’s Flying Dog. The Vibram soles offer a stiff platform for pedaling and when combined with a wide pedal provide a very stable descent. Additionally, should you need to hike-a-bike, which if you’re riding Horsethief no doubt you do, the Terraduro’s Vibram sole is a lifesaver. It wouldn’t be a stretch to say they’re the best overall performing shoe I’ve had to date. As far as fit and sizing, the Terraduro’s are true to size. I typically wear an 8 or 9 depending on the brand, and I’m right in there with the Terraduro’s at size 41.5. These shoes are quick to put on/remove and have no laces, which coming from the Shimano’s is a blessing. No bike shoe should ever have laces. 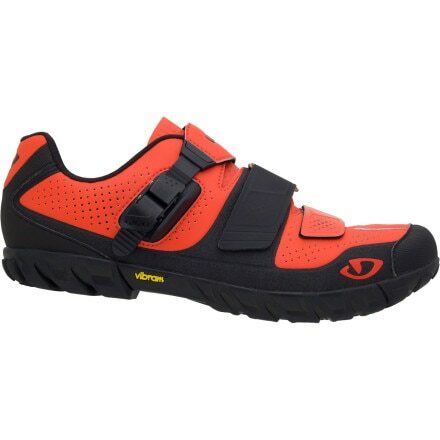 The Terraduro’s incorporate a velcro/ratchet combo allowing you to adjust the snugness of the shoe on the fly. It’s safe to say that Giro nailed it with the Terraduro’s. I can’t yet comment on their durability, but the Terraduro’s out-of-the-box performance and spiffy appearance is top-notch. If nothing else, the burnt orange color will make you appear faster. While the $180 price tag isn’t cheap, Vibram soles are known for their durability and should last you a handful of seasons. 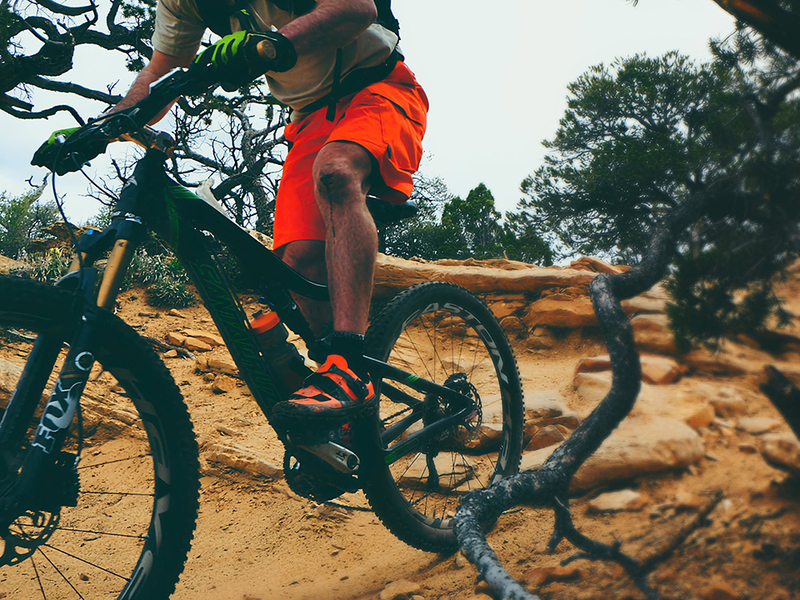 I’ll make sure to update this review should I notice any wear or durability issues down the road, but for now, the Terraduro is my go-to mountain bike shoe, and are well suited for the type of riding we have in Park City. Order the Terraduro today from Backcountry.com who has 100% guaranteed returns should you need a different size or decide you don’t like them, as well as free shipping. Best For: Riders who get up so they can get down. Who Should Avoid: Weight weenies & dowhnill racers. 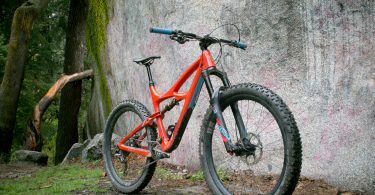 Probably not the best option for trails that require serious air-time. I just ordered a pair of the women’s version. Thanks for the review!